designed for children of all ages, ensuring the highest level of safety with maximum play value. 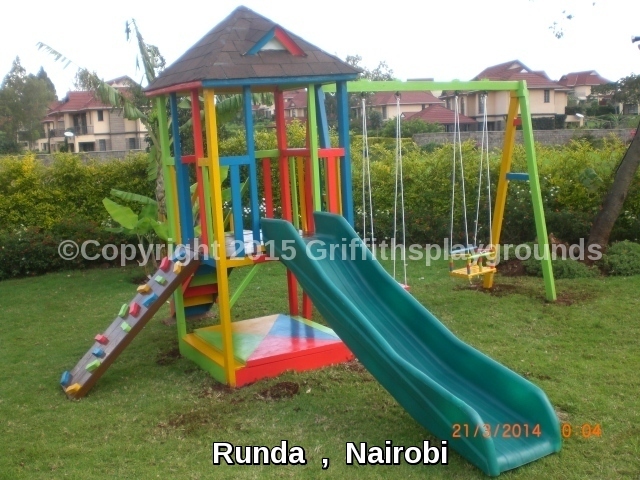 Griffithsplaygrounds is the largest provider of playground developments in East Africa . Over the last 8 years, we have transformed over 300 outdoor environments into imaginative play and learning zones. We pride ourselves on a comprehensive and flexible service that provides customers with a one-stop shop for all their outdoor and indoor play and learning requirements. We have the capability and expertise to deliver the whole package including design and manufacture, installation and after sales support. Our promise is to offer a wide range of imaginative play equipment and facilities, designed for children of all ages, ensuring the highest level of safety with maximum play value.